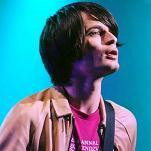 From one of the greatest alternative rock bands of all time to an acclaimed film composer in his own right - Jonny Greenwood is constantly revealing new and exciting facets to his compositional personality. Hailed as one of the greatest guitarists in the music business, Greenwood's path into music began at an early age. Born in Oxford in 1971, he started out as a viola player. But it was when Radiohead (originally known as On a Friday) signed a record deal with EMI in 1991 that his career really took off. 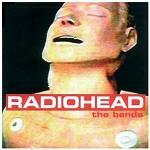 Although 1991 was the year that Radiohead hit the big time (prompting Greenwood to give up his Music and Psychology degree), his association with the band stretched back to 1987. He originally signed on as a harmonica player, switching to keyboards and then finally to the role of lead guitarist – the eventual four year hiatus arose as a result of the various band members attending university. Alongside Thom Yorke, Greenwood is seen as one of the major influences on Radiohead's immediately recognisable style – and his famously aggressive guitar playing helped secure the band in the popular consciousness. The band's 1992 breakout hit Creep was a remarkable showcase for their idiosyncratic approach – the albums that followed included Pablo Honey, The Bends and the seminal OK Computer, securing their position as one of the most important and groundbreaking groups of the 90s. But Greenwood's abilities don't stop at lead guitar with Radiohead. He has a classical background and is a multi-instrumentalist, able to play the piano, organ, glockenspiel, banjo and ondes martenot (an early electronic instrument with a sound not too dissimilar to the Theremin). He has composed four classical works, among them Popcorn Superhet Receiver for string orchestra (heard in the film There Will Be Blood) and Smear for two ondes martenots and ensemble. In 2004, he was made Composer in Residence with the BBC Concert Orchestra, another critical step towards the film scoring assignments that would grant him even more plaudits in classical circles. In particular, the classical facets of Greenwood's style owe a massive influence to Krzysztof Penderecki – the epochal Polish composer whose works include the chillingly atonal Polymorphia (heard in landmark horror The Shining). 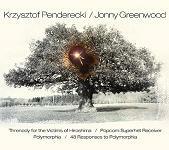 In 2012, Greenwood and Penderecki released an album together, featuring both Popcorn Superhet Receiver and a new orchestral work entitled 48 Responses to Polymorphia (in reference to Penderecki's own groundbreaking work). Penderecki's avant-garde, challenging tendencies are very much apparent in Greenwood's film work, the first of which was for Simon Pummell's 2003 documentary Bodysong. With no dialogue, Greenwood's music played an especially prominent role, comprised of 13 songs covering a variety of musical genres from jazz to electronic and classical. Significant as that was, his score for Paul Thomas Anderson's 2007 oil epic There Will Be Blood was arguably even more so. 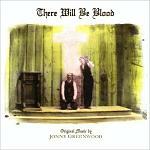 In the film, Greenwood benefits from Anderson's brazenly operatic approach that frequently places the music centre stage – notably in the beginning scene where Daniel Day Lewis' character is working deep down a shaft. Greenwood's eerily astringent music creates an impending sense of doom and catastrophe that is quite extraordinary – a pity therefore that the score was deemed ineligible for the Oscars due to the presence of pre-existing composition, Popcorn Superhet Receiver. No matter – the score was hailed by critics the world over as a vital element in the film's narrative. Greenwood reunited with Anderson in 2012 for divisive drama The Master – in the process coming up with a wonderfully unsettling work that brilliantly captures the duality of the disturbed central character, played by Joaquin Phoenix. In between, Greenwood also composed scores for Haruki Murakami adaptation Norwegian Wood in 2010 and Lynne Ramsay's wonderfully disturbing We Need to Talk About Kevin in 2011. So what does the future hold for this eclectic and unpredictable musician? Whatever it holds, one thing can be guaranteed – the work is sure to be surprising and challenging. In continuing the pop/classical crossover path as demonstrated by the likes of Deep Purple (Concerto for Group and Orchestra) and Paul McCartney (Liverpool Oratorio), Greenwood has secured both popular and critical approval – a position for which many artists strive to achieve. "You Were Never Really Here" sees Greenwood in full avant garde mode yet again, with his score featuring some electric sounds, some strumming and some drumming. Yet it is absolutely perfect for the movie with its many broken characters, especially the riveting performance of Joaquin Phoenix. 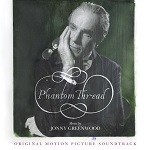 Released the same year was "Phantom Thread" which is really quite different in style from Greenwood's other scores. The film is romantic and even dreamy in places, and the main theme is a light classical fantasia for upper class lounge piano and orchestra! There are other themes which are more unsettled or even ambivalent, but the pervading feel is this piano/orchestral mood. 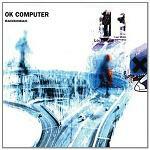 A number of Radiohead songs have been used on film soundtracks. The film "Romeo+Juliet" featured two tracks by the band: "Exit Music (For a Film)" was written by Radiohead for the closing credits, and included on their album "OK Computer". The track "Talk Show Host" was also adapted by Nellee Hooper to feature on the film.